Like much of the transportation infrastructure community, I was stunned and dismayed when President Trump suddenly told several Democratic members of Congress that “P3s don’t work” and are “more trouble than they’re worth.” He even trashed the largely successful experience of Vice President Pence’s home state of Indiana, which is moving toward a toll-financed, P3-delivered reconstruction and widening of its Interstate highway system. After a week of reflection, and with no confirming actions or announcements from the White House, I’m less dismayed, for a number of reasons. First, nearly all P3 infrastructure projects are developed by state and local governments, which own the infrastructure. They will continue to launch such projects because they make sense—witness the $9 billion announcement by Maryland Gov. Hogan the week before, to use P3 concessions to add express toll lanes to three major highways. Second, there is bipartisan support in Congress for the P3 infrastructure approach. In September 2014 a special panel of the House Transportation & Infrastructure Committee issued a report, “Public-Private Partnerships: Balancing the Needs of the Public and Private Sectors to Finance the Nation’s Infrastructure.” The report represented the consensus views of this bipartisan panel that included Ranking Democrat Peter DeFazio (D, OR). And just the other day, the House’s New Democrat Coalition released a three-page statement on infrastructure improvements that includes the use of P3s both for long-term fixes to existing infrastructure and to foster innovative solutions. Third, it’s important to remember the old saw, “The President proposes, the Congress disposes.” Whatever approach the White House proposes, the actual infrastructure bill will be crafted, debated, and eventually passed by Congress. 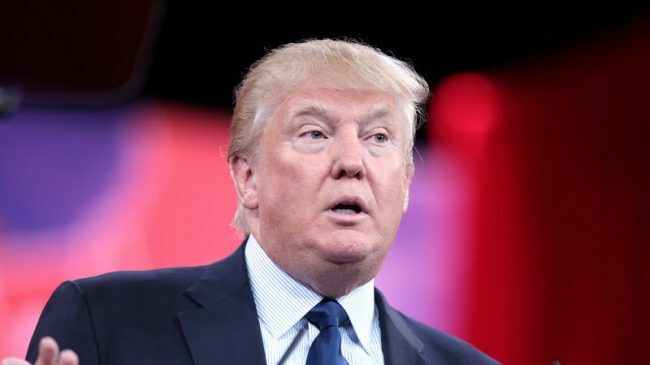 The latest indications are that the White House proposal will focus more on rethinking the respective roles of the federal government versus those of state and local governments. Since the latter own the infrastructure, this kind of rethinking is long overdue, especially given the ever-worsening fiscal position of the federal government. Despite the recent call from what we might call the Old Democrats (in this case, members of the Senate Environment & Public Works Committee) for $500 billion in net new federal spending on infrastructure—funding source unspecified—there is no hat from which to pull out a $500B rabbit. We have aging highways, leaking municipal water systems, and decrepit locks on the inland waterways for two reasons. First, those who use and benefit from these systems have been unwilling to pay what it actually costs to use them—and seem to think that somebody else should do it for them. Second, those who manage these vital facilities have not leveled with the users about paying the real costs. Users-pay/users-benefit is still the fairest and most effective way to pay for airports, seaports, waterways, highways, electricity, water supply, and other infrastructure for which the users are the ones who receive the vast majority of the benefits. That makes all of these systems viable candidates for revenue-based P3 reconstruction and modernization, but those decisions are properly made by the governmental jurisdiction responsible for the facilities—not by central planners in Washington. As the federal government inevitably reduces its role as sugar daddy due to running short of money, there are things it can do to assist states, cities, and counties to become better stewards of their own infrastructure. Some of these were proposed by the Obama Administration: expanding tax-exempt revenue bond financing to all categories of P3 infrastructure, rather than just highway and transit projects; streamlining loan programs such as TIFIA and WIFIA, while continuing taxpayer safeguards; and liberalizing existing pilot programs such as those for airport privatization and toll-financed Interstate reconstruction. I’d encourage the White House to forget about a grandiose $1 trillion total, and focus instead on giving state and local infrastructure owners better financing tools and assistance in using better procurement methods such as design-build-finance-operate-maintain (DBFOM). More important than an arbitrary dollar total is ensuring that infrastructure investment goes to the highest-value projects, where benefits solidly exceed costs. That’s how to make our economy more productive. Maryland’s Gov. Larry Hogan last month unveiled the single largest express toll lanes (ETL) project to date: a $9 billion plan to add express toll lanes to two Maryland Interstates and an expressway. There will be two toll lanes each way on I-495 (the Capital Beltway), on I-270 that links the Beltway with suburban Frederick, and on the Baltimore-Washington Parkway that links Maryland’s biggest city with the nation’s capital. At 394 new lane-miles, this is the largest ETL plan in U.S. history and one of the biggest P3s ever. Express Toll Lanes have been growing in popularity across the country. Democratic and Republican governors alike have embraced the variably-priced express toll lanes (ETLs) as a way to provide a reliable trip time for motorists and a virtually exclusive busway for transit customers. Currently, ETL projects are under construction in California, Colorado, Florida, Georgia, North Carolina, Texas, and Virginia. Many regions including Atlanta, Denver, Los Angeles and South Florida are building a network of ETLs to provide region-wide mobility. ETLs have faced opposition from progressive Democrats who argue that tolling is regressive. While tolls (like gas taxes and sales taxes) can be regressive, buses travel in the lane for free. As a result, drivers are paying some of the costs of providing bus travelers with faster and more reliable trips. ETLs have also faced opposition from populist Republicans, as in North Carolina and Texas. Fortunately, both extremely liberal Democrats and populist Republicans are in the minority in most of the country. Despite his moderate Republican credentials, Gov. Larry Hogan had been slow to embrace tolling. When he first came into office, one of his first actions was to reduce the toll rates on Maryland bridges. While nobody likes to pay tolls, that action left many bridges without sufficient funds for maintenance, not to mention expansion. Hogan has dubbed his new proposal the Traffic Relief Plan, and the region could certainly use it. Despite ranking 7th in population, the DC metro area’s congestion typically ranks anywhere from worst to fourth worst in the country. DC’s congestion is often compared to that of much larger Los Angeles. Both regions face such epic congestion that drivers could be forgiven for thinking that they were traveling in a third world country. One of the worst spots for congestion is the American Legion Bridge, where I-495 crosses the Potomac River on the west side of DC. Part of the reason for the congestion is that Virginia’s I-495 ETLs terminate before the bridge. That’s because Maryland had previously not been interested in adding ETLs to its portion of the Beltway. Building ETLs on I-495 in Maryland will relieve a traffic bottleneck caused by six lanes merging into four. As neighboring Virginia has found out, the Washington region is a nearly perfect place for ETLs. The region is home to many upper-middle class commuters who need to arrive at their destinations on time, and are willing to pay tolls to do so. During the peak of rush hour, the price to travel the 11.6-mile I-495 Express Lanes in Virginia can sometimes reach $34.00 ($2.93 per mile), among the highest in the country. Robust toll revenue makes such projects attractive to potential P3 investors. Not surprisingly, there has been opposition to the Governor’s plan. However, most opponents’ reasons for opposing ETLs are politically-motivated or laughable. Some Maryland Democrats have questioned whether the investment will strangle the revenue stream for transit. Yet, since the toll lanes are expected to recover most or all of their costs via toll revenue, little or no state money will be needed. And I don’t remember these Democrats having objections when Democratic candidate for Governor Anthony Brown floated a similar idea. 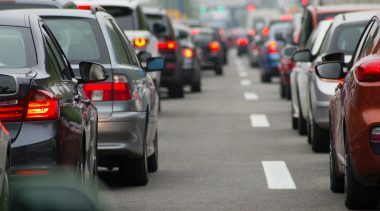 Steven Schwartz, Executive Director of the Coalition for Smart Growth, stated that ETLs are not a long-lasting solution to the problem because they do not solve the problem of congested arterial roads. In reality the expressways in Maryland are far more congested that most surface roads. And while Gov. Hogan would probably like to widen arterial roads, I doubt the Coalition for Smart Growth, which has fought a new Potomac River crossing for years, is in favor of widening arterials. What’s noteworthy is that Schwartz could not use his typical Smart Growth arguments. The new capacity is tolled, so any induced demand effects are likely to be limited. The ETLs provide a corridor for express buses, allowing suburb-suburb transit service. Many commuters live in Montgomery County and work in Fairfax County, but there is no transit service in the I-495 corridor. Greenhouse gas emissions may decrease, because cars traveling at 50 mph release fewer GHGs than those traveling at 10 mph. Neighborhood cut-through traffic could decrease because commuters will have a congestion-free travel option. The plan might need some minor tinkering around the margins. Gov. Hogan suggested that the Interior Department is ready to transfer control of the B-W Parkway to the state of Maryland. But in case that plan falls through or environmental challenges make building ETLs along the Parkway overly complicated, ETLs could instead be added to I-95 between Baltimore and Washington. Both expressways badly need new capacity, and it might be easier to add toll lanes to I-95. Overall, Gov. Hogan’s ETL plan is one of the best transportation ideas to come out of Annapolis in years. He and Secretary of Transportation Pete Rahn should be congratulated for developing an aggressive plan to improve mobility. Express toll lanes are being implemented in a growing number of large metro areas with congested freeway systems. A growing number of these metro areas are developing whole networks of variably priced lanes, as the best use of the remaining capacity they have space and resources to pursue. But adding such lanes to congested urban toll roads has not been an easy sell. In fact, at this point in two of Florida’s largest metro areas—Miami and Orlando—the local toll agencies are uncomfortable with the idea of charging different prices to different customers. So at present, this is leading to serious gaps in what is intended to be a seamless network of express toll lanes, priced so as to be uncongested lanes not only for time-sensitive individual trips but also as guideways for region-wide express bus service. In the study, we developed quantitative estimates of future travel times and speeds for an urban toll road whose current congestion-relief plan is to convert the inside shoulder each way to a bus-only lane, in hopes that enough people would switch from its congested regular toll lanes to riding the bus, to produce meaningful congestion relief in the regular lanes. We ran many scenarios, all running from 2020 to 2035, assuming different amounts of peak-period bus service for their current plan, and a number of other scenarios in which the shoulder lane was reserved not only for buses but also for premium-toll-paying customers—but only enough to prevent what we called the “express/transit lane” from becoming congested. A comparison of the results is shown in the two graphs below, comparing average speeds in the general purpose lanes (left graph) and peak-hour trip times in the GP lanes (right graph) as of 2035. As you can see, the express/transit lane led to much better GP lanes’ performance. In 2035, our express/transit lane scenario found that customers in that year would save 692,100 hours per year, of which the large majority (71%) would accrue to the drivers in the general lanes. In addition, by 2035 the additional toll revenue generated from the variable rates charged only in the express/toll lanes (compared with the regular toll rates) would be $21.7 million per year. We don’t find many situations in urban transportation where everybody is made better off by a policy change, but this is clearly one of them. Incidentally, I know of two tollway providers that are already comfortable with premium toll lanes. One is toll concession company Abertis, which added such lanes to the PR 22 toll road in Puerto Rico in 2012. 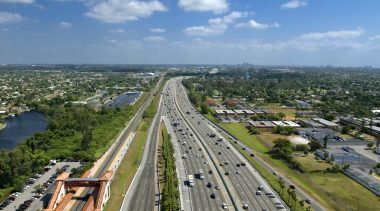 The other is the Florida Turnpike Enterprise, which is adding premium lanes to its Turnpike extension in southern Miami-Dade County and its Veterans Expressway north of Tampa. And it plans to do likewise on its Beachline West in Orlando. In intercity transportation, there are three primary means of transport that don’t require a private automobile to travel from point A to point B. Commercial air service for distances of 250 miles or more is fastest, but generally the most expensive. The cheapest mode, conventional bus lines such as Greyhound and Trailways, is slow with many stops and often depressing bus terminals. Finally, there is the middle mode, consisting of Amtrak passenger rail service or express coach bus service such as Megabus or Boltbus. There are several causes for this lack of service. Amtrak’s deficiencies are attributed to a lack ofsufficient government funding; the intercity bus industry’s is due to a growth spurt between 2007 and 2014 that proved unsustainable. The decline in gas prices led some customers to switch to driving. Heightened competition from ultra-low-cost air carriers, and relocation of bus stops away from prime downtown locations, have also decreased bus ridership. The largest reason for the decline in passengers is the cancellation of routes. Thankfully, the report suggests some low-cost common-sense strategies to increase ridership. The first recommendations involve marketing and technological innovation. Amtrak and bus services should develop partnerships between their own services and ridesharing and micro-transit providers such as Uber, Lyft, and Chariot, to provide last-mile connections. Many cities do not have transit services to rail and bus stations. As a result, customers either choose a different travel mode or don’t take the trip. Amtrak and bus services should also partner with real estate development companies to locate stations within convenient walking distance of businesses. Additionally, bus lines could offer business-class service to woo short-distance business travelers. To help locate bus stops in downtown areas, the report recommends that cities work with the bus companies to find vacant locations suitable for stops. Some cities have had a love/hate relationship with private bus companies and there is some evidence that such an attitude has contributed to ridership decreases. Other cities, such as Washington DC, have created dedicated bus terminals, paid for by a small fee on each ticket. The report also recommends improving Amtrak’s Thruway bus service to better connect bus and rail travel. Some states such as Michigan have coordinated links between Amtrak and private bus lines. However, many states believe that private bus service will cannibalize Amtrak riders, even when bus service is used as a supplement. The Chaddick study also recommends coordinated planning among the states of their respective rail networks. The Northeast Corridor Coalition is one potential model. One takeaway from the study is that Amtrak is faring no better than intercity buses in transporting passengers, despite the millions in subsidies the government monopoly receives. A recent analysis by Jeff Davis in Eno Transportation Weekly provides some numbers. Amtrak continues to lose money on its state-supported and long-distance trains. For FY 2018, Amtrak predicts that the state-supported routes will lose a modest $4.18 per passenger while the long-distance routes lose between $12 per passenger for the Palmetto and a whopping $408 per passenger for the Sunset Limited. Eleven of Amtrak’s 15 long-distance trains lose more than $100 per passenger. Even Amtrak’s two “profitable” routes—the Acela Express and Northeast Regional—lose money when their capital costs are taken into account. Looking to the future, Amtrak’s losses are projected to grow. Both state-supported and long-distance trains will continue to lose money (the state-supported are forecast to lose a little less but the long-distance are forecast to lose a lot more). The losses on food and beverages will increase from $46 million in 2017 to $62 million by 2021. And these assumptions presume that Amtrak’s congressional funding increases from $1.6 billion to $1.9 billion, or about 19%, over 3 years. This increase seems unlikely to come from a Republican Congress. I want to highlight two of the report’s recommendations for intercity bus service: partnerships between intercity buses and Uber/Lyft, and using vacant properties as bus pick-up locations. Both are cheap and easy-to-implement solutions. But to put the ideas into practice, public and private travel providers need to stop thinking of themselves as competitors and start acting as collaborators. Passengers don’t care who operates the service as long as it is reliable. Finally, given Amtrak’s abysmal performance, giving the agency more funding is the closest earthly endeavor to dumping money into a black hole. We don’t need to fund Amtrak’s thruway bus system when Megabus can offer the same service without subsidies. While I wouldn’t recommend it, providing a small subsidy to a private bus service would be a much more cost-effective way to close middle-mode gaps than spending far more on Amtrak. This conclusion surprised me, because I’ve read a lot that Bern Grush has written on AVs, and he’s made it clear that he would prefer a future in which shared AVs largely win out over individually owned AVs. But that makes his honest look at the obstacles to that future all the more compelling. According to the environmental and livability perspective, the ideal future would be based on vehicles that are automated, connected, electric, and shared (ACES). But the ideal AV future for most drivers would be vehicles that are comfortable, affordable, fast, and instantly available (CAFI). The key to understanding the authors’ conclusion is their clear-eyed assessment of serving “travelers with non-routine needs.” They identify eight such categories, as follows. Travelers who need carrying and storage capacity, which includes not only shoppers but also service providers such as pool cleaners, plumbers, electricians, etc. Ever since he coauthored the path-breaking Megaprojects and Risk (2003), Bent Flyvbjerg has been my guru on megaprojects. He followed up that volume with an impressive series of policy research papers, building on the findings of that book. Now he has edited a 600-page book, with chapters written by several dozen experts, that may well be as path-breaking. The Oxford Handbook of Megaproject Management (Oxford University Press, 2017) provides a wealth of information on the subject, organized into four sections: Challenges posed by megaprojects, Causes of problems with megaprojects, Cures for those problems, and six Case studies to which the insights from the previous parts of the book can be applied. Needless to say, I have not read these 600 pages, but I’m impressed by the book’s scale and scope, as well as the caliber of its contributors. This book is an important addition to the growing literature on megaprojects and how to manage their many challenges. Asset Recycling in India and Indonesia. The idea of governments selling or long-term leasing revenue-producing infrastructure and using the proceeds for other public purposes has been demonstrated in Australia and proposed in the United States. Indonesia is doing it, having last month finalized the sale of six toll roads by state-owned PT Waskita Karya. The company is building 1,260 km of new toll roads, and will use the sale proceeds from the six toll roads to help pay for the new ones. And in India, Union Minister Nitin Gadkari last month announced that the government seeks to launch a public share offering of the National Highways Authority, which he estimated would yield $150 billion, with the proceeds dedicated to building additional infrastructure. Wisconsin Passes Up Follow-on Tolling Study. As of last year, Wisconsin looked to be in the lead of states where the DOT and legislators were exploring the potential of rebuilding their aging Interstate highways using toll finance. This year’s legislature authorized $2.5 million for a more detailed study (a follow-up to HNTB’s $1 million preliminary study in 2016). But Gov. Scott Walker late last month vetoed that portion of the two-year transportation budget. The next week, Gov. Walker announced that the planned $1 billion reconstruction of I-94 in Milwaukee, would not proceed, due to lack of funding. Trucking Considers Mileage-Based User Fees. In a column for HuffPost in August, the CEO of the American Trucking Associations, Chris Spear, acknowledged that at some point we will need to replace the fuel tax as the primary funding source for highways, and that “a vehicle miles traveled tax might be the answer.” He claimed that this would be “extremely expensive to collect,” which is highly debatable. Still, this is a refreshing change from some years ago when mileage-based user fees were anathema to ATA. Central 70 Project Won by Kiewit/Meridiam Team. The $1.2 billion project to reconstruct a 10-mile stretch of I-70 in Denver via a 30-year design/build/finance/operate/maintain P3 concession was awarded to Kiewit and Meridiam. The project will replace an aging elevated section with depressed lanes, topped by a deck which will include a park to re-unite a neighborhood bisected by I-70. The project will include adding express toll lanes in the median. Elizabeth River Tunnels Finished One Year Early. On September 15th, a celebration was held in Norfolk, VA to celebrate the completion of the toll-financed Elizabeth River Tunnels Project. It added a new tunnel beneath the river, refurbished the two existing tunnels, and added a new connection to the regional expressway system. The project was developed under a 58-year P3 toll concession by a team headed by Skanska and Macquarie. Rhode Island Expects First Truck Tolling in January. The Rhode Island DOT expects to have its first electronic toll collection gantry in place by December and to begin charging tolls to trucks in January. The initial gantry will be on the Wood River Valley Bridge on I-95, and the second will be further north on I-95, at the Tefft Hill Bridge. Nearly all the tolling locations are on I-95 or I-295, where federal law permits tolling where existing non-tolled bridges are replaced or refurbished. The Federal Highway Administration approved RIDOT’s plan, despite the opposition of the Rhode Island Trucking Association. Second Set of Toll Lanes Proposed in Charlotte, NC. While opponents of the express toll lanes under construction on I-77 north of downtown Charlotte continue attempts to derail that project, last month the Charlotte Regional Transportation Planning Organization included I-77 express toll lanes south of downtown on a list of projects it sent to NCDOT to be ranked for funding. California High Speed Rail Champion Turns Against It. 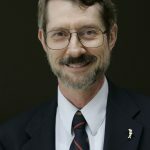 Quentin Kopp, a former legislator and judge who once championed the planned California High-Speed Rail system now calls it “almost a crime” for violating a number of the provisions in the $10 billion bond measure that voters narrowly approved in 2008 to pay for a portion of what has become a truncated $68 billion project. Kopp explains his opposition in a new video, released last month. It’s online at: https://reason.com/reasontv/2017/09/20/quentin-kopp-bullet-train-flashman. Mobile Bridge to Be First Alabama P3. Alabama DOT has released an RFP for a $1.5 billion bridge across the Mobile River. It includes constructing a new six-lane bridge across that river and widening from four to eight lanes the I-10 bridges across Mobile Bay. The project financing is expected to include equity, Private Activity Bonds, and a TIFIA loan, similar to other recent P3 concession mega-projects. Charleston May Add Express Toll Lanes to I-526. The South Carolina DOT is considering a $1 billion project to widen congested I-526 in the Charleston area. An October 1st editorial in the Charlotte Post & Courier argues against one plan that would add HOV lanes and makes the case that express toll lanes would be a far more effective addition. Buses: the “Hottest Trend in Transit”. In a thoughtful article in the September issue of Governing, Daniel C. Vock reviews dramatic reforms to the bus systems of Houston (reported in this newsletter two years ago), Columbus, Ohio, and Albany, New York. The common theme is revising the service pattern based on current demand, which can include curtailing low-ridership routes and adding more-frequent service on high-ridership routes, in addition to shifting other routes to reflect changed land uses. 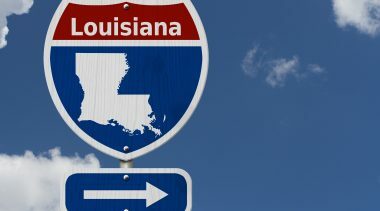 Check it out at http://www.governing.com/topics/transportation-infrastructure/gov-big-city-bus-systems.html. New Tool Helps Fleets Manage Tolls. 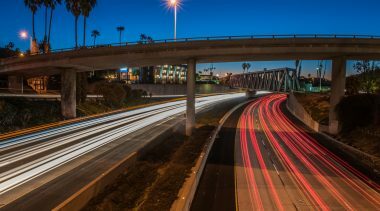 HELP, Inc., which offers a single nationwide transponder and tolls management under the PrePass Plus brand, has unveiled an additional service. Unveiled at the North American Commercial Vehicle show in Atlanta, it is called Inform Tolling. It provides data on all tolls charged to a company’s fleet, and can identify exceptions to best practices (such as a driver not using the transponder and incurring higher license plate billing costs instead), mistaken or fraudulent toll charges, and toll violations. Subscribing companies get a customer dashboard that permits custom uses of its tolling data. 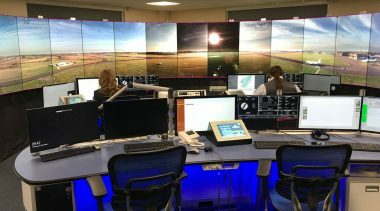 Lessons from Aviation Automation. Harvard Business Review last month published “The Tragic Crash of AF 447 Shows the Unlikely but Catastrophic Consequences of Automation,” by Nick Oliver, Thomas Calvard, and Kristina Potocnik. It offers food for thought for developers of various levels of autonomous vehicles. Michigan Launches its First P3 Concession for I-75 in Detroit. Michigan DOT this fall will release a request for qualifications (RFQ) for teams seeking to reconstruct and modernize a 5.5-mile segment of I-75 in suburban Oakland County near Detroit. The project is planned as a $600 million design/build/finance/maintain concession, financed based on availability payments. It is part of an overall effort to modernize 18 miles of I-75. Express Toll Lanes for Tampa on New Bridge. Florida DOT has proposed its first express toll lanes in Tampa, where its previous plans for a network of such lanes have met local resistance. The current Howard Frankland Bridge consists of an outdated northbound span from the 1960s and a newer four-lane southbound span. The latter would be retained, with the new bridge (to replace the 1960s span) containing four general-purpose lanes, plus four express toll lanes (two each way). The plan includes the possibility of adding capacity for a light rail line in each direction in the future, should funding for such a project materialize. Overnight Bus Service, Los Angeles to San Francisco. Start-up company Cabin is providing sleeper-bus service between LA and San Francisco, using specially outfitted buses. Each has 24 horizontal sleeping cabins, with sheets, pillows, and privacy curtains. The overnight trip starts (each way) at 11 PM and arrives at 7 AM, costing $115 each way. The aim is to enable short-stay trips without requiring a hotel or extensive driving time. This initial route appears to be popular, and Cabin is considering additional routes of similar length on the east coast. Food for Thought on Level 5 Autonomy. Much of the hype about on-demand robo-taxis able to go anywhere at any time in any weather depends on “full” Level 5 automation. As Jean-Louis Gassee explains in a worthwhile commentary, citing autonomous vehicle pioneers, “It’s a great vision, but one that’s not likely to happen soon.” Among those he quotes is Chris Urmson, former AV director at Google, estimating that it will take at least 30 years to achieve reliable Level 5 automation. Go to: https://mondaynote.com/autonomous-cars-the-level-5-fallacy-247ae9614e14. More U.S. Truck Platooning Trials. The Federal Highway Administration continues testing truck platooning, most recently with a two-day test on Rt. 28 and I-66 in northern Virginia. These tests were of three-truck platoons, and focused on assessing whether platooning can increase highway throughput and increase fuel efficiency. Separately, last month Daimler AG, maker of Freightliner trucks in the United States, announced an agreement with Oregon DOT to test platooning on public roads in that state.